The mission of Cummer Beaches is to support the Cummer Museum and enhance the Membership experience. 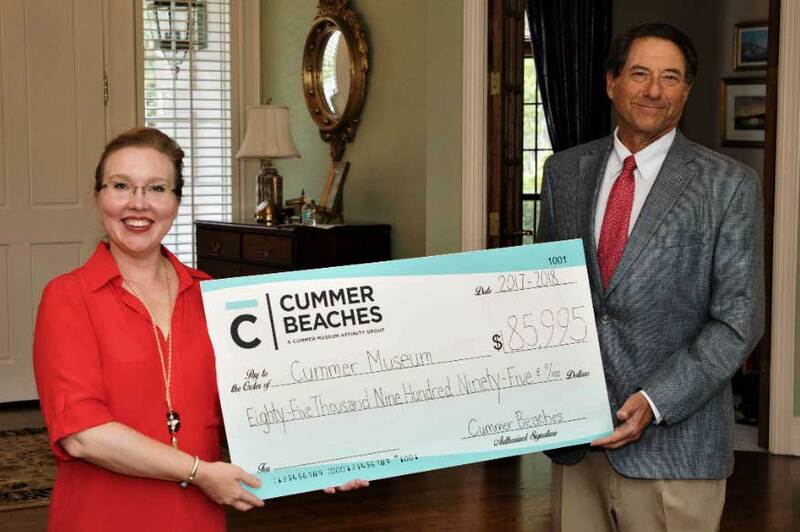 Cummer Beaches encourages interest and support for the artistic and cultural significance of the Museum and raises funds for the overall mission with specific focus on children's education programs. Cummer Beaches Members participate in various activities that connect them with other art and garden enthusiasts in the Beaches area. Enhance your Cummer Museum Membership by adding Cummer Beaches. Cummer Beaches Member discounts are available for ticketed events. To become a Member of Cummer Beaches, contact Member Relations at 904.899.6007, MemberRelations@cummermuseum.org, or join online below. Beaches residents are encouraged to join Cummer Beaches and get involved with this active Book Club that explores the literary world in connection with the Museum’s exhibitions and permanent collection. For further information, please contact Tad Shuman at mauriceshuman@hotmail.com.